Happy with the look of the stall. Lots of interest and colour. 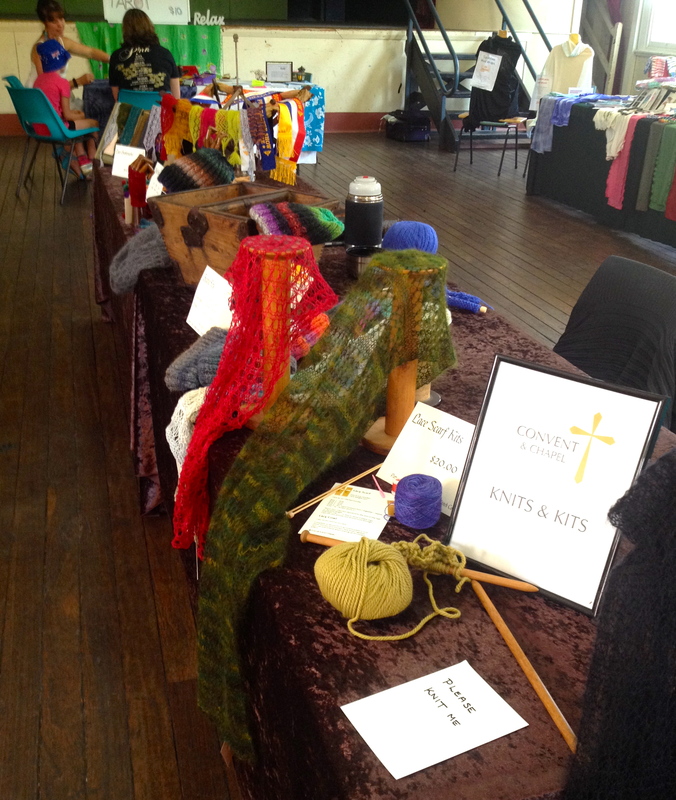 Yesterday was my second foray into the Rylstone Artisan Markets with my Convent and Chapel knitting stall. I had slightly adjusted stock by removing some of the more Wintry beanies and adding a loose knit cotton blend scarf pattern and a new vibrant set of mitts, plus a few other random knitted items. As expected, it was a much smaller and quieter market, with fewer stall holders and visitors given the holiday break. I was more than happy just to be there and chat with my fellow stall holders with no expectations of sales. Fortunately, I still did quite well – not as much as last time, but definitely worthwhile and confidence-building. I sell both finished items and kits – complete with my own patterns as well as the yarn and any other items needed to finish the garment. I’m keen to encourage others to practice the craft. 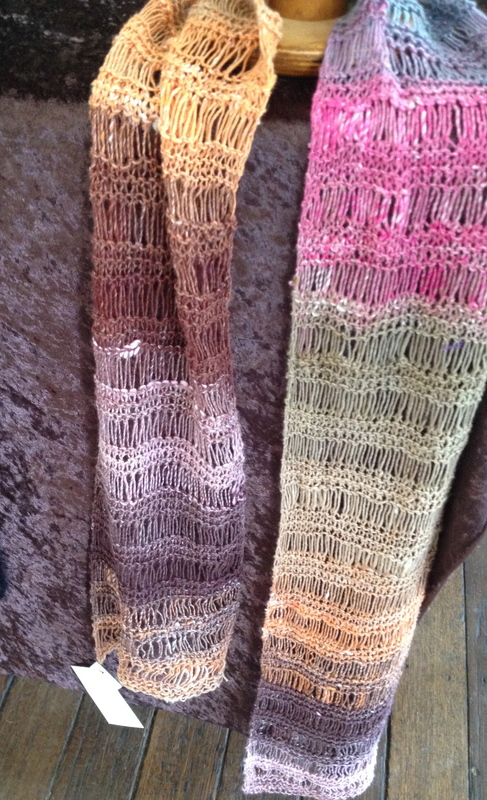 At both markets so far I’ve sold both, although the knitted items sell much faster, meaning that I have lots of knitting to do inbetween markets to restock. The plan is to keep the items fresh with regular new additions that adjust with the seasons. I’m really pleased with how my stall looks and it attracts lots of comments. 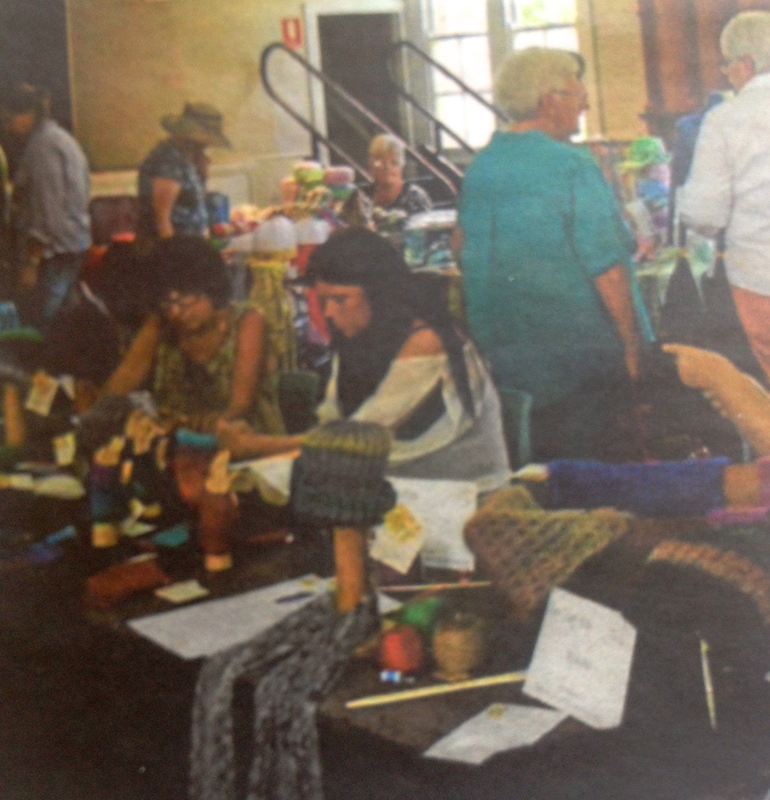 We even made it into The Weekly local paper! It’s good even if people just stop for a look and comment on items – it’s quite different to anything else at the markets. The other stall holders are incredibly friendly and encouraging and I’m meeting so many new locals and catching up with familiar faces. 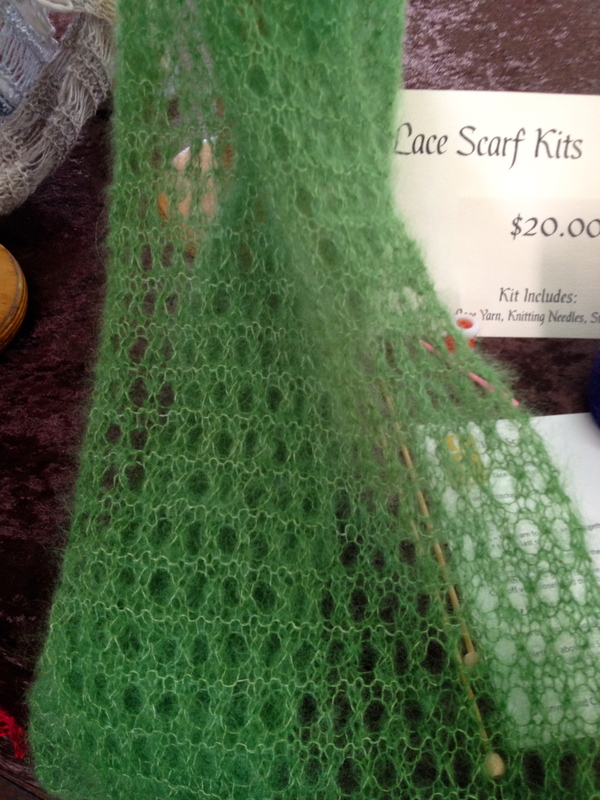 Anyway, I’m already looking forward to February markets – I’m planning a rustic Autumn suitable shawl and topping up the featherweight mohair lace scarves that are so popular. Many thanks. It’s a fun and rewarding local activity. If I’m not busy with customers, I get quiet knitting time. Win Win.